When I’m having a bad day, one thing that can lighten my mood is a good old-fashioned piece of snail mail. When I get a real, handwritten letter in the mailbox — not just one of those pieces of junk mail where they use fake handwriting for the address to get you to open it — I can’t wait to see what its author is thinking and doing. After all, there’s something so precious about someone taking the time to sit down and write a letter. It means they’re thinking of me. It means they care enough to find paper and an envelope and a stamp and my address. It’s an investment of time. It’s an investment of love. And that’s what our Father did for us. He gave us His Word as a source of life and light. So when we need joy, scripture is one of the first and best places we can look. But where to look? Especially on days when we’re feeling lackluster? Here are a few steps to finding joy through scripture. 1. Find a passage that relates to your situation. I often find myself going with the verse that first comes to mind. Sometimes, God seems to bring just the right verse to mind at just the right moment. And that is a blessing. But you can also intentionally search out a verse to address something you’re struggling with or want to grow in. 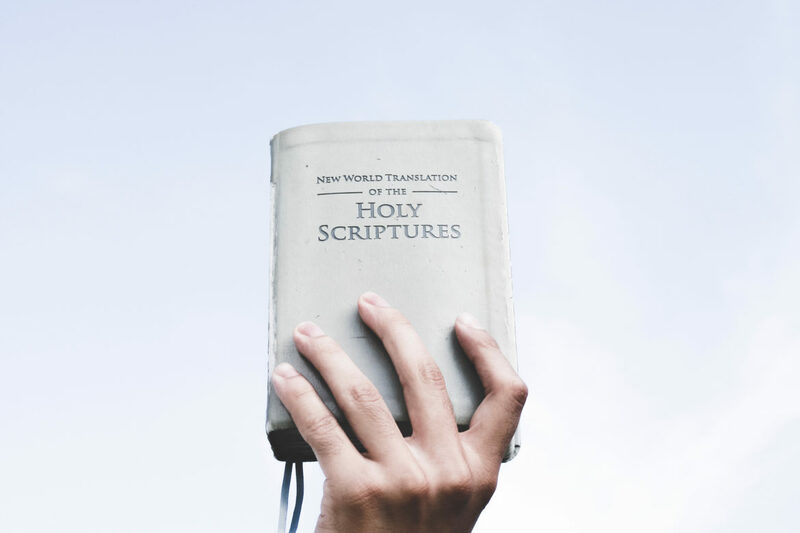 Whether you’ve read the Bible cover-to-cover or just some here and there, there are bound to be verses you’ve missed or verses that speak to you in a new way in your current stage of life. So look up keywords online. Flip to the back of a Bible and browse through the concordance. Ask around to see what your friends’ or pastor’s go-to verses are. Sometimes, even the treasure hunt of finding a certain verse can help you get out of an I-don’t-even-want-to-read-or-pray funk. Read the whole chapter. If you have a study Bible, look at the beginning of the book to see if there are historical notes. Find a related sermon online. You may find that the verse has a richer context and meaning than you thought. And think about the words themselves. What do they mean? What do they invoke? If you enjoy art, create something related to your verse. Let the truth sink in. Let it light up your soul from the inside out, like a letter from a dear friend full of love and wisdom. There’s nothing like sharing the joy of Christ with those around you, whether they’re hearing it for the hundredth time or the first. When you’ve been letting truth soak into your heart, it will naturally spill out into your relationships and interactions. You never know when God is going to use you to bring His letter to someone else who needs it! And that, too, brings great joy. I have lots of verses you can share over on my Craving Encouragement board on Instagram (link IG account). You are always welcome to re-pin or share. Join my mailing list to get my free Craving Joy printables! You can use these as a guide for scripture reading, meditation and action items throughout the summer as we pursue joy together. Have you purchased Craving Time or Craving Rest? Make sure you join the private Facebook community to share encouragement and support as we walk through this summer together!